You most likely have been busy all spring tending to your little plants in the garden. During the summer months, you are caring for your vegetables, watering plants, and enjoying the flowering results in your gardens. In the fall, you have the tasks of saving seeds, dividing, pruning, and planting some new plants for the next growing seasons. In the winter months, you will find that you have a bit more time to spend gardening. Because it is so cold outside and this is where planning and your greenhouse are going to play important parts of your daily lives so you can continue with your gardening hobby or for growing those great fresh vegetables that you love so much. 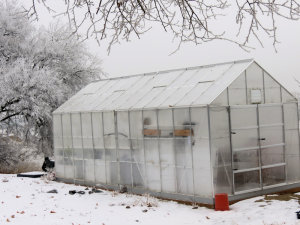 The winter months are a great time to play in the greenhouse, growing vegetables that you can use in the home for dinner, special occasions and because you like fresh veggies. In the winter months, this is also a good time to experiment with new vegetables that you would like to try so that you know if you want to grow them in your gardens. Exotics and new flavors (which are always being cultivated) in tomatoes, cucumbers, beans, onions and more, are going to give you the time to spend watching these plants grow and to see if they are exactly what you want in your gardens for the next growing seasons. You can try new cabbages, lettuce, and even radishes in the greenhouse over the winter months. Besides tasting the fruits and vegetables of your labors all winter long is a great way to kill those ‘blues’ that the cold weather often brings. Besides growing fresh vegetables in your greenhouse over the winter months, winter gardening involves planning for your spring gardens. Planning for your spring gardens includes going through your greenhouse, sorting out the seeds that you have been collecting all during the fall months, making a listing of these seeds, and then making a listing of the seeds that you need to order for spring planting. Ordering from your favorite supplier or trading with local gardeners is how you will find the seeds that you need to start collecting for spring planting. Mid winter, in January and in February, you can start some of your seeds in the greenhouse so that they are going to be ready for early spring planting in your gardens and you will have vegetables by May! Winter gardening also includes planning the layout of your gardens. Making a picture of the garden where you plant your vegetables, flowers, or other types of plants, you can draw in and label exactly how you want your spring garden to look. Having this layout ensures that you will rotate your crops from year to year and when the time comes there is no question as to what your next step is in planting your spring gardens. Winter gardening also involves Christmas, Valentines, and even Easter flower planting that you can use for decorating your home. Winter gardening includes learning how to grow your favorites and to have them bloom at the correct times for the holiday seasons. Learning about the latest in force blooming techniques and in what soil or water certain varieties of flowers need to survive the holidays with grace is a winter gardeners delight as you succeed. Winter gardening also involves planning to make sure your shrubs and larger type plants do not get broken over in the weight of ice or snow. Brush them off lightly as needed when they are outside. Another thing that is important to remember in the middle of the winter is that if you are using salt to melt ice or snow and your plants are nearby, that you don’t put salt on the plants or they will die off as the salt touches them.